London: The Bodley Head, 2009, Hardback in Dust Wrapper. Condition: Very Good — in Very Good Dust Wrapper. Unlaminated dust wrapper a little edgeworn with a promotional sticker to the upper panel which is best left in place. Edges of the text block lightly tanned. From the cover: “Holy war: Christianity versus Islam. Brutality, greed, honour, chivalry; the clink of chain mail, the clatter of hooves, the call of the muezzin. Such are the stock ingredients of the Crusades. But to what extent do the stereotypes fit with the reality? 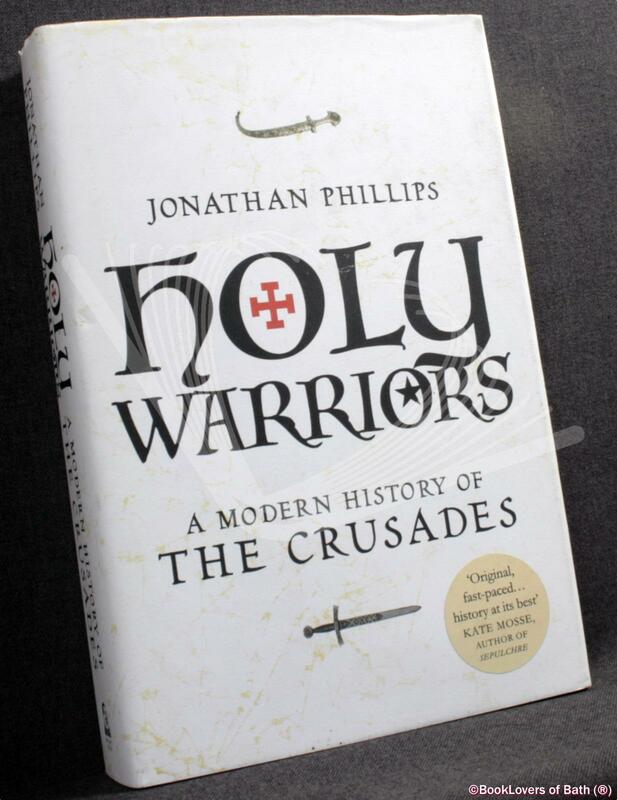 In his remarkable new book, Jonathan Phillips explores this conflict of ideas, beliefs and cultures and shows both the contradictions and the diversity of holy war: friendships and alliances between Christians and Muslims; triumphs of diplomacy rather than the sword; the launch of crusades against Christians, and calls for jihads against Muslims. Phillips draws on contemporary writings — on chronicles, songs, sermons, travel diaries, letters, financial accounts and peace treaties — to throw a brilliant new light on people and events we thought we knew well: the bloody conquest of Jerusalem in the First Crusade; the titanic struggle between Richard the Lionheart and Saladin; the breathtaking naivety of the Children’s Crusade; and the ruthless suppression of the Knights Templar. Less familiar but no less central are the stories of the intimidating and astute politician, Queen Melisende of Jerusalem; the fiery preacher, Al-Sulami; the Arabic-speaking excommunicate and Holy Roman Emperor, Frederick II. Over time the Crusades were directed against a variety of opponents: not only Muslims in the Middle East but against Cathar heretics, political enemies of the papacy, the Mongols, pagan tribes of northern Europe, and the Ottoman Turks. Although the notion of fighting for one’s faith fell into disrepute in the Enlightenment, in a final chapter Jonathan Phillips traces the crusading impulse up to the present day — to George W. Bush’s characterisation of the war on terrorism as a crusade. Size: 9½" x 6¼". Black boards with Silver titling to the Spine. [XXIV] 424 pages.